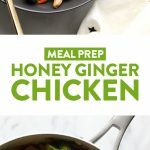 Our Homemade Meal Prep Honey Ginger Chicken Stir Fry is a great alternative to takeout! The sauce is made with fresh ginger, soy sauce/tamari, honey, and sriracha. 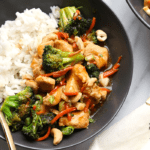 This ginger chicken stir fry recipe is flavorful, healthy, and everyone in the family will be begging for chicken stir fry every night of the week. If you love Chinese takeout, raise your hand. WE DO. Lee and I are always down for delicious Chinese food. 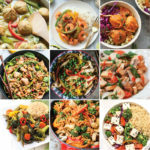 In fact, we are huge fans of Thai takeout, Sushi takeout, and anything that is fresh, full of crunchy veggies, and a decent price! 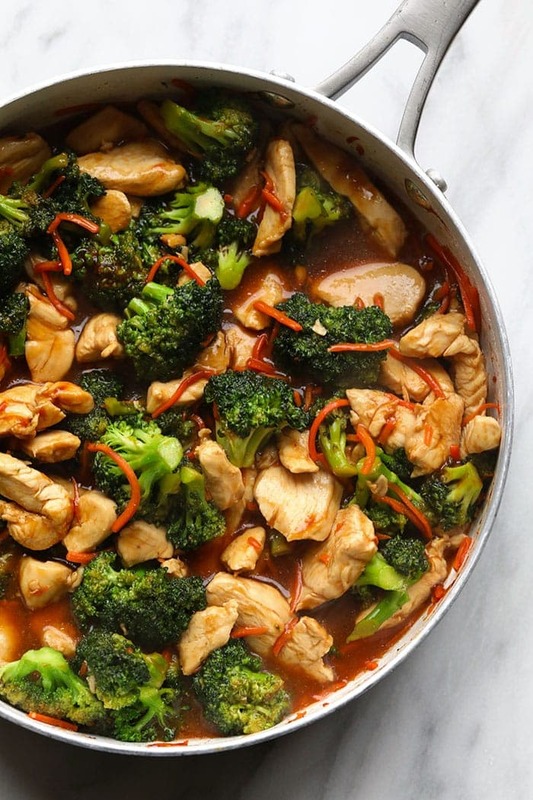 If we are talking favorite takeout dishes it would be ginger chicken or beef and broccoli. 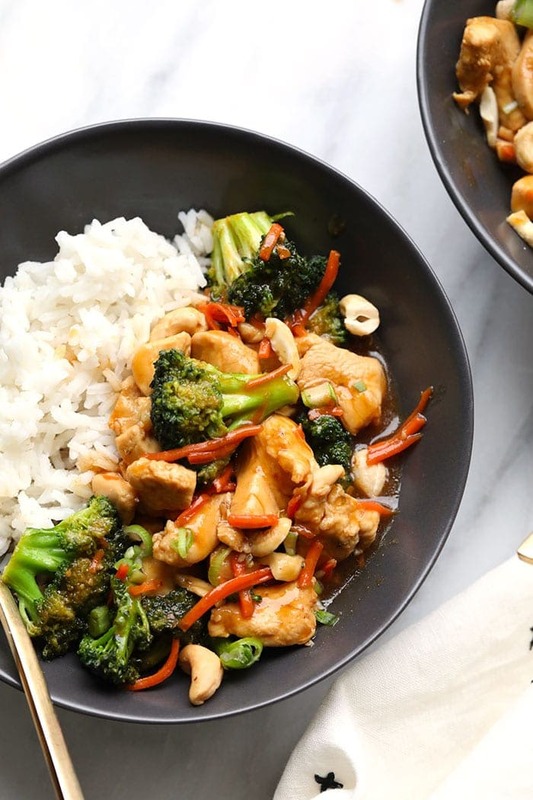 This Honey Ginger Chicken Stir Fry happened when we were craving takeout but had a ton of leftover produce in the fridge. We decided to save some cash-money and make our own takeout inspired dish. 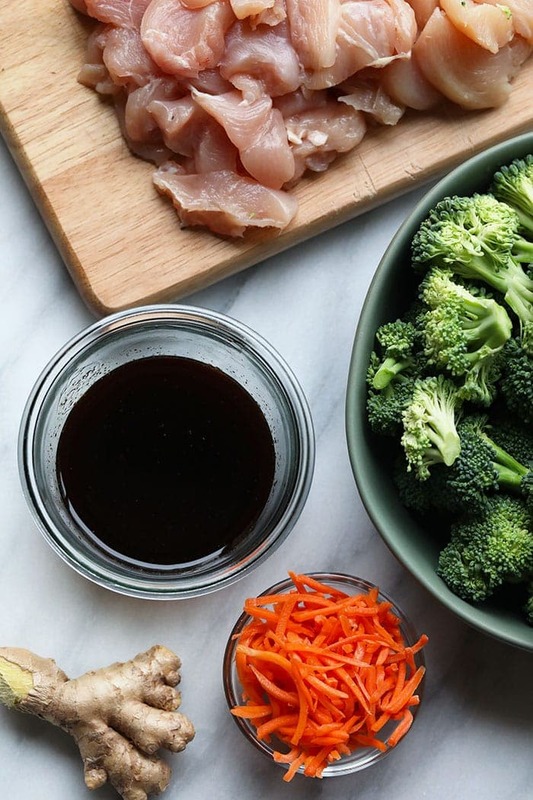 You can really make this chicken stir fry recipe with any veggies you have in your fridge, but we stuck with our favorite takeout staples—–> broccoli, shredded carrots, chicken, and lots of FRESH ginger. One of my intentions for 2018 was to create some kind of budget. One way that I am budgeting this month is to limit the number of times that I eat out. Cole and I LOVE going out to eat. 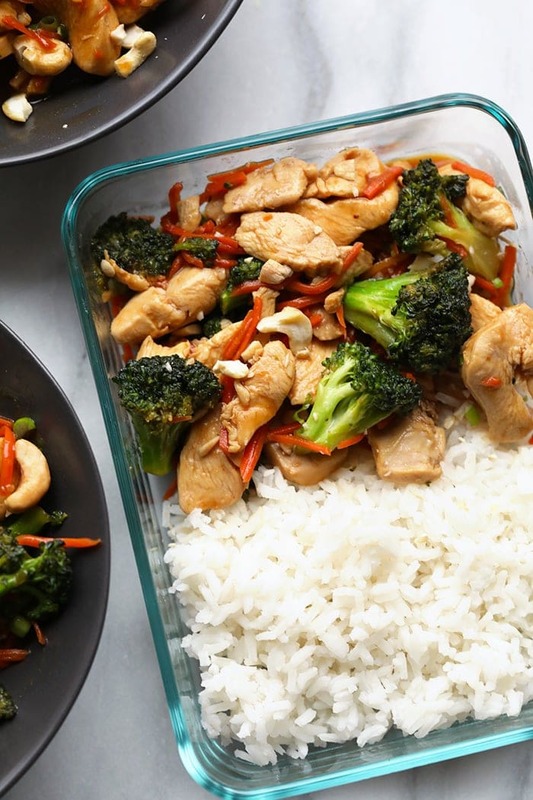 So, meals like homemade chicken stir fry help keep us on track! If you’re a takeout-aholic and are looking to make more meals at home, give this stir fry a try. 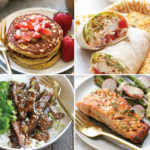 Also, check out some of our other favorite meal-prep meals! Happy cooking! Heat avocado oil in a large saute pan over medium/high heat. 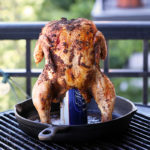 When oil is fragrant add chicken breast to pan and cook for 2-3 minutes. Prepare sauce by whisking together all ingredients until most of the cornstarch has dissolved. Set aside. Next, add the rest of your stir fry ingredients to the pan (except for carrots) and saute for few minutes before adding sauce. Bring sauce to a boil and then reduce to low, add carrots, and let simmer for 6-8 minutes. 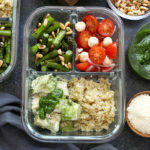 Remove from heat and serve over white rice, brown rice, or quinoa! Rice is not included in nutrition information. 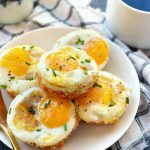 Meal Prep Recipes with 9 Ingredients or Less!